2 required per car. These are sold each. 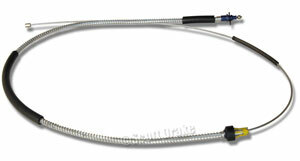 This is an exact reproduction of the original rear emergency brake cable with the correct metal covering.